Bring out the rosy glow of your cheeks while you sleep, with the richness and fragrance of our renewing night cream. During the healing hours of darkness, our Renewing Night Cream works wonders on tired, dry and thirsty skin. Wild musk rose seed-oil blends with replenishing evening primrose, myrrh and other nourishing ingredients as part of the Renewing Night Cream’s certified natural by NATRUE formula. It goes to work as you rest. Skin is nourished, feels replenished and moisturized – you’ll greet the day looking refreshed, relaxed and radiant. Helps soften fine lines, smooths and hydrates during the night. Nourishes and helps to restore vitality and bounce. Dermatologically tested good skin compatibility. 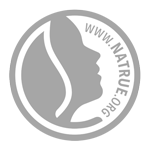 Certified natural by NATRUE, free from synthetic preservatives, fragrances, colorants or raw materials derived from mineral oils. Apply just enough cream each evening to absorb well into the face, neck and décolletage, after cleansing and toning. Wish I found this earlier! I was suffering from terribly dry and flaking skin, as a diabetic I take meds that can really dry the skin out. I also had lost over 50 pounds really trying to get my health in balance. I tried so many products, a well known make up artist suggested the Weleda wild rose smoothing night cream. With great relief and joy, after a few days my skin was soft, glowing and just looked healthy! I only wish I would have found this earlier!! I found a few more Weleda products at Whole Foods here in California and I'm so grateful! It feels and looks like my skin is being nourished. Thank you so much for creating quality products at fair prices that work wonders on sensitive, medically stressed skin, it's more than lotions it's my healing potion. I hope to purchase more of your phenomenal healing products! It's never too late to start feeding your skin, I'm 36 and feeling nourished and looking pretty good, according to my husband!